No contract, no extra fees, a free initial consultation, a free gym program and a free PT session. Students (including tertiary students) are afforded a discount on membership fees. Please contact Michael to discuss. 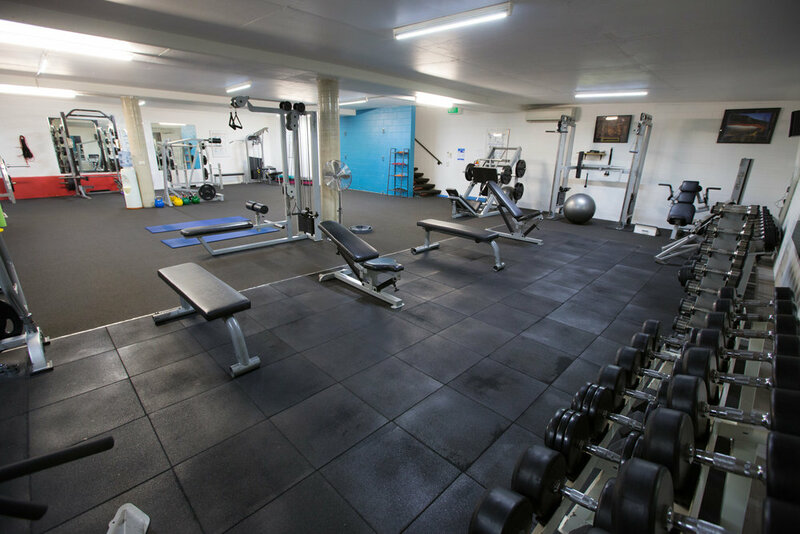 The bottom floor weights room is spacious and full of up to date equipment including two squat racks, two bench press stations, dumbbells up to 60kg, leg press, kettle bells and variety of cable machines. The gym also offers a variety of bands sizes and MOWD rehabilitation triggering equipment. The cardio room is based on the entry level which includes: treadmills, cross trainers, arc trainers, rower, spin bikes and a full body vibration machine. The whole gym is fully air conditioned with extra individual fans if needed. Riverside Fitness has its own private parking, street parking is also available if necessary. There is no designated wheelchair parking spot but the entry level of the gym from the car park is wheelchair and pram friendly. Riverside offers daily reformer pilates sessions conducted by professionally trained instructors. Classes start as early as 5:45am to 7:15pm dependent on the day. We offer 8 people per class and sessions are pre booked. Click the timetable link below to find out how to book your session. Reformer Pilates is a perfect for increasing strength, postural, flexibility, balance, endurance and toning up. Riverside Fitness offers a variety of experienced trainers. Wether your goal is rehabilitation, strength training, weight loss, increase mobility, sport specific or all round fitness we will pair you up with the perfect trainer. Michael, Eli and Tiae are Riversides head personal trainers. 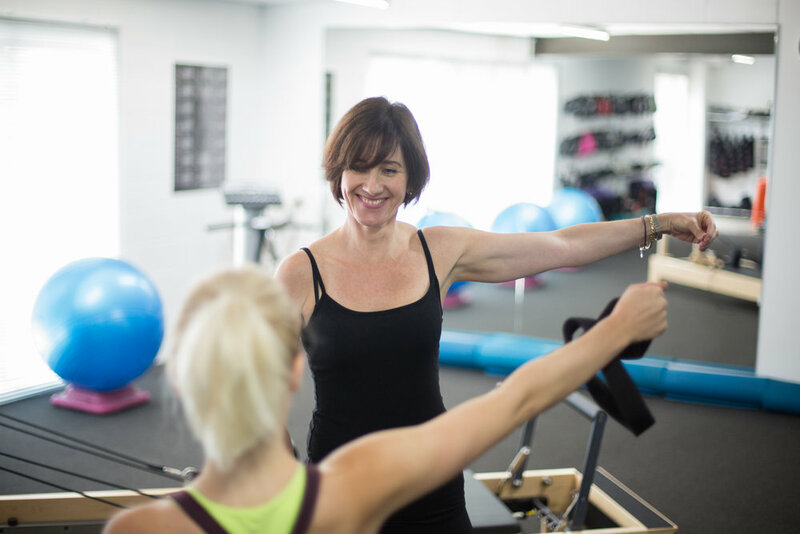 Riverside is partnered with Bionic Fitness to offer Brisbane’s first full body Electrical Muscular Stimulation (EMS) studio. EMS uses its own electrical pulses to contract your muscles without you having to put strain on your joints or ligaments to do the work. Sean Fyfe and his team at Performance Physio, Fitness and Sports are located at Riverside Fitness for all injury, rehabilitation and physiotherapy needs. Riverside Fitness is home to Michael O'Connell, a specialist Master Musculoskeletal Rehabilitation Trainer, Wellbeing Therapist, Fitness Advisor and Chronic Pain Consultant. Scott de Wever, our resident Exercise Physiologist and self confessed golf nut heads up our golf specific program; Scott's view towards golf / athletic development is injury prevention is the key to driving success. Riverside Fitness is conveniently located just behind the Regatta Hotel on Landsborough Terrace, Toowong. The gym has direct access from Coronation Drive, or Sylvan Road. Ample on-site parking is available for all members. The gym is open 7 days a week, with opening hours as shown below. Any public holiday or irregular hours will be clearly displayed in the gym.